How cute is this shirt? It will be custom made for you with appliques and embriodery. 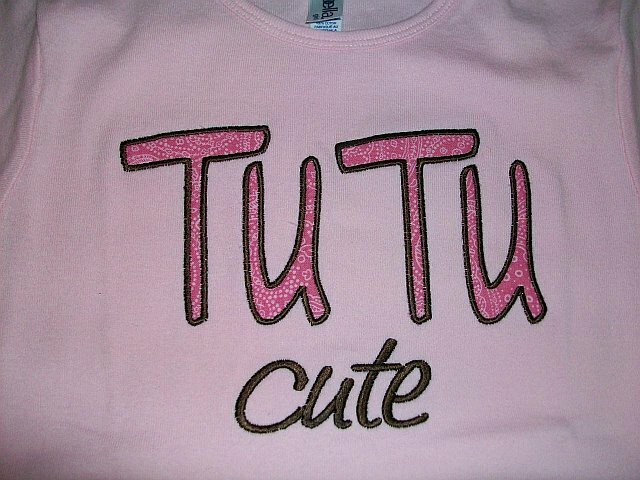 Tu Tu cute!! Perfect for ballet or for a 2 year old birthday party! This will also be monogrammed for free if you want your child's name on the bottom. Please let me know if you want long sleeved or short sleeved. I also need to know if you want a fitted tee, or a unisex tee. Please allow 2 weeks to arrive at your house since this is a custom made order. 28.00 and comes with a free monogram.